*This product or components that make up this product have reached End of Life. Once the remaining quantities are purchased, this product will be discontinued. MegaSquirt programmable EFI Engine Management System from Bowling and Grippo. Install fuel injection on anything from a single cylinder lawnmower engine to a fire breathing V12, and anything in between! This kit is easily the biggest bang for the buck in the standalone EFI arena. You build it, You tune it, you drive it. The sense of accomplishment is amazing as are the results when you finally get your car dialed in just right after spending who know how long messing around with piggybacks and other ‘hacks’ that just don’t get the job done right. Stop wasting time and money and MegaSquirt your ride! You won’t regret it. This is our entry level system. It can control two banks of high impedance injectors, and fuel-only control or ignition systems that use a square wave RPM signal and a logic level output signal. Examples of ignitions that work well with this one include GM 7 or 8 pin HEI, Ford EDIS or TFI, Toyota VAST, and Mazda Miata ignitions. If you need to run low impedance injectors, variable reluctor (inductive pick up) ignitions, or direct coil control, or are thinking about stepping up to an MS3 in the future, we recommend starting with a V3.0 board. 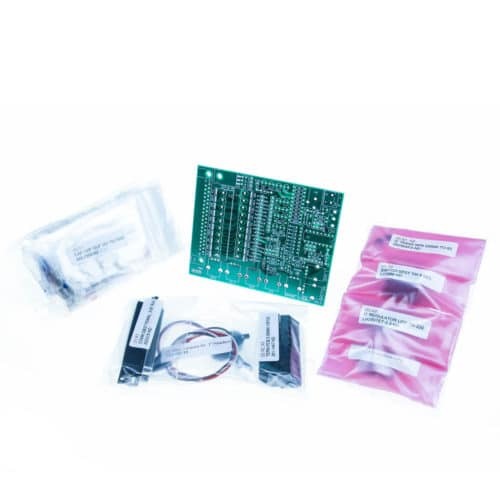 This kit includes everything you will need to build your MegaSquirt ECU. Just add tools, solder and time! (Black Anodized Case is included, it’s wrapped up under the PCB in the pic above, EVERYTHING is include to build the ECU) Mod kits for additional hardware features are sold separately. As with all DIYAutoTune.com un-assembled kits, the quality is second to none. Everything is meticulously organized and labeled to help make your ECU assembly go as smoothly as possible. For example, each of the above bags contains a certain type of part, one with all of the resistors, one with diodes, one with capacitors, etc. Inside each of these bags the parts are further broken down and labeled in their own individual baggies. We even go so far as to put the components in numeric order to make finding them easier. We’ve really tried to think of everything…. What inputs and outputs are provided with this kit? Does this kit include a MAP sensor? 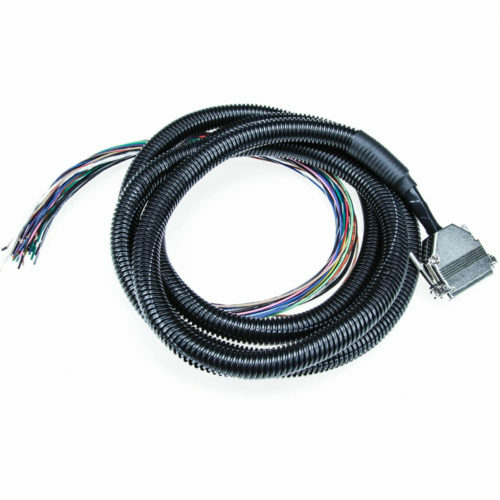 Yes, there is a 2.5 bar MAP sensor included. It is a small UFO-like item in a static resistant bag and will not look like a conventional GM MAP sensor. When should I use a V2.2 board, and when is it worth stepping up to a V3.0? You will be running high impedance injectors. You do not need any other outputs beyond fuel and ignition control. You do not intend to upgrade to MS2 or MS3 in the future. If your plans include any features beyond this, starting with a V3.0 is likely to be a better option. The processor ships with Bowling & Grippo V3.0 code. It is easy to upgrade to MS1/Extra code during assembly. While it is possible to make this kit work with enough determination, it would require assembling a lot of extra circuits using a breadboard or Zeal daughter board to add a conditioner for the BMW crank sensor. An MS1 V3.0 kit would offer this conditioner already built in, and a more robust circuit board. 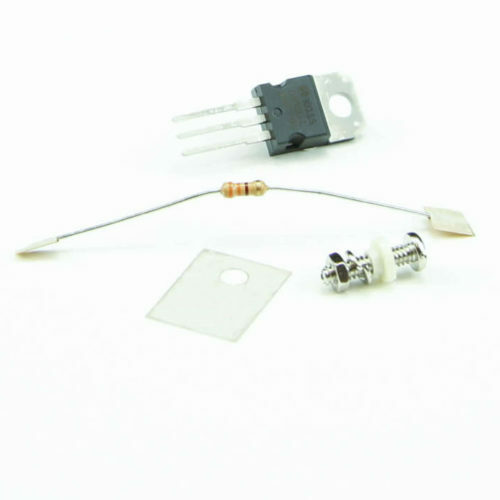 You could then add outputs to drive the coils using our BIP373 mod kits; the BIP373 transistor is in the same family as the coil drivers used in stock BMW DMEs from this era. Stepping up to an MS2 V3.0 kit would give you a more powerful processor, more accurate spark timing, and settings that are easier to configure, while going to an MS3 V3.0 kit would allow sequential injection and a massive amount of I/O when using the MS3X expansion board. These features may be more "nice to have," while using a V3.0 board over a V2.2 is going to save a lot of headaches for this particular application. The V3.0 would be a better starting point, as it was designed for ignition control. From looking at the wiring diagrams, it appears that it should be possible to use a V2.2 on this engine, but the V2.2 will have fewer upgrade options if you want to run a different ignition later or decide you want to upgrade to MS2 or MS3. Yes, although you will need to install the modifications in our "How to MegaSquirt Your Miata" guide. I do not recommend using a V2.2 board on a distributorless ignition. At a minimum, I would recommend an MS1 V3.0 kit, although it's not much more to step up to an MS2 V3.0. The MS2 is considerably easier to configure and tune. This can work if you are using a Hall effect distributor with a four vane rotor. For other VW ignition systems, I'd recommend stepping up to at least a V3.0 board. For most other ignitions, we typically recommend stepping up to at least an MS1 V3.0 and maybe further, depending on the exact details of the build. This isn't the kit I would pick for a '99 Miata; supporting the factory sensors would require something MS2 based, such as the MS2 V3.0 or DIYPNP. These two options have native support for your car's ignition. You would then need to dial in the fuel and ignition tables for what your specific build needs. An MS1 V2.2 would not be my first choice for ignition control unless this engine uses a 7 or 8 pin GM HEI module. If it uses a more complicated ignition, you may need to step up to an MS1 V3.0 or even an MS2 V3.0 depending on the engine's specific needs.